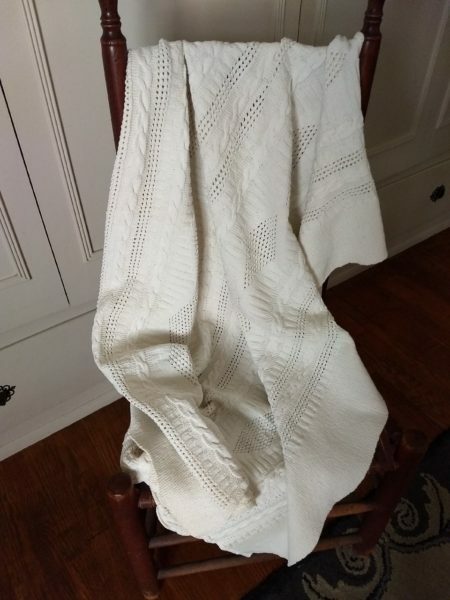 Dating from the 1950’s, perhaps earlier, a lovely hand knitted crib spread, baby blanket or afghan. Today, it would be pretty used as a throw across a corner of a sofa, chair or bed. A sturdy knit in pleasing mixed patterns, including cable and diamond. Either side has straight edges with the bottom and top slightly rippled.